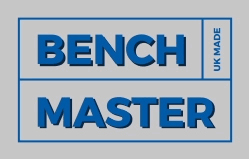 Create your custom workbench using our step by step selector below. 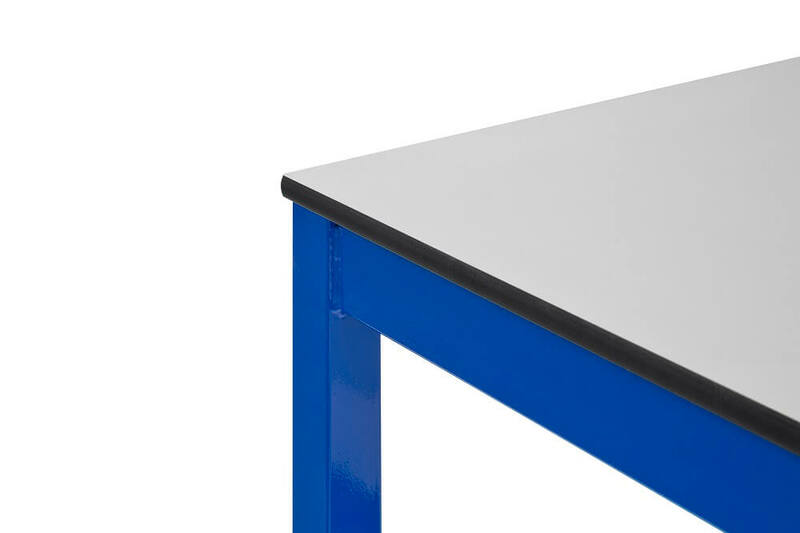 Choose from galvanised steel, stainless steel, laminate, MDF and, black rubber on steel, ESD tops. 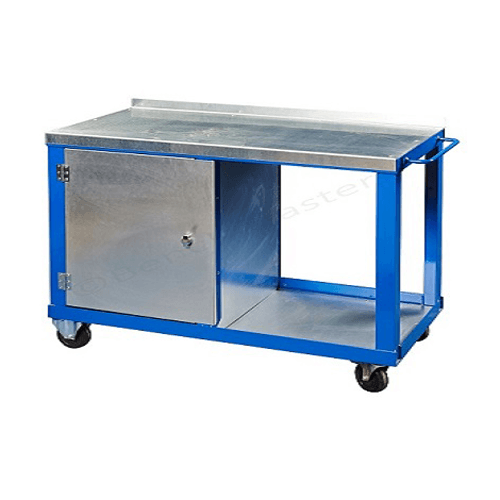 Ideal for packaging, home workshops, laboratories or education with a uniformly distributed load (UDL) of up to 500kg. 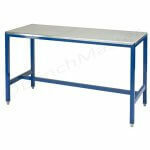 Made in steel box section frame and delivered fully welded and assembled. Default colour is Blue (RAL5010) unless specified, *Non Standard colours are available for volume orders. Contact us for details. 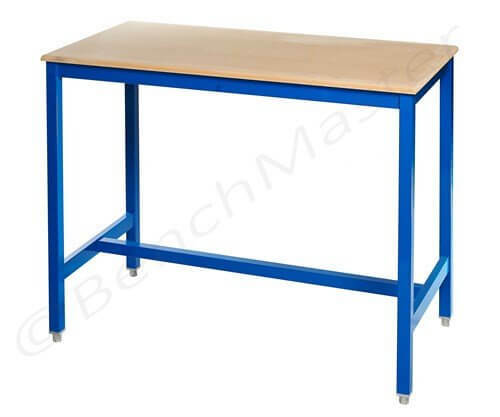 For the storage of items underneath the bench. 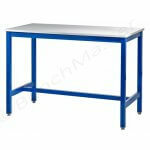 Choose from a number of types of material for the upper shelf. 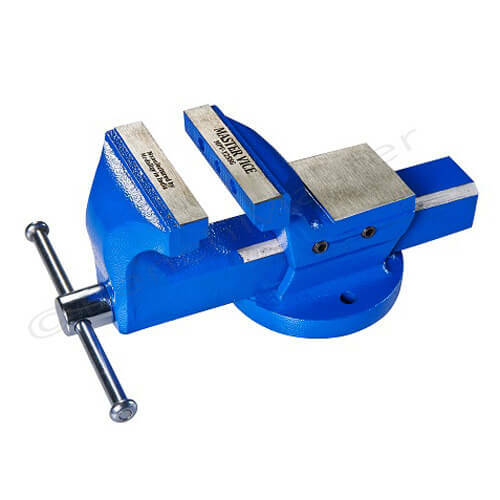 This option is extremely useful addition enabling easy access to tools or materials. Louvre panels support plastic boxes that are typically used to store small parts. Tool panels are used to locate tools. Louvre and tool panels are usually ordered with support bars but can be ordered separately. 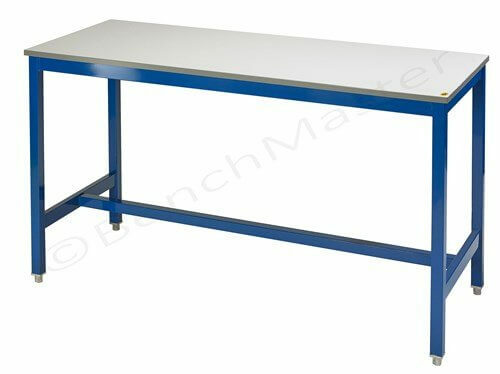 The trunking provided covers the length of the workbench and comes fitted whereas the island unit is provided loose and can be located in a place that suits you. Both products are supplied unwired and will require electrical work once in place. To take one of our lights, please include a light rail. Fluorescent & LED lighting available. Please select a light rail. 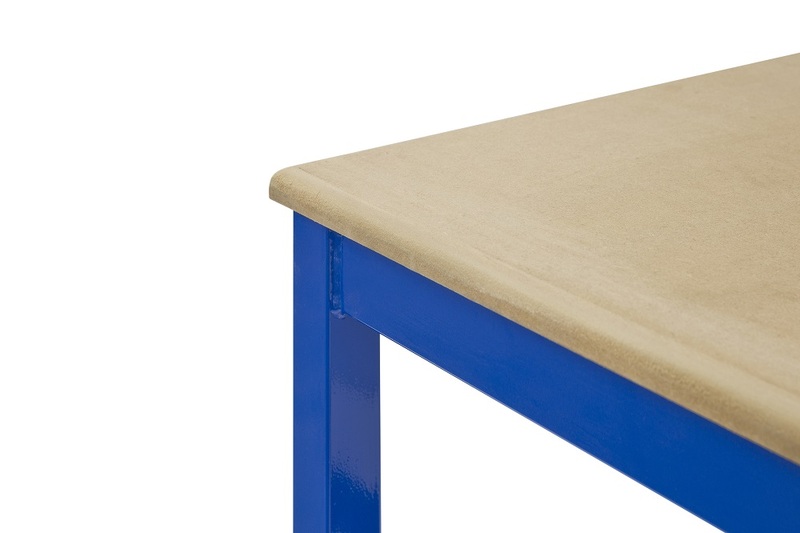 Add a useful storage cupboard to your workbench. 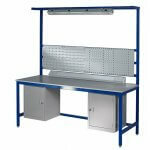 The medium duty cupboard size is 610mm high x 457mm width x 457mm depth. Please let us know where you would like each cupboard, e.g. 1 on left, 1 on right. Drawers can be added to your workbench for extra storage. 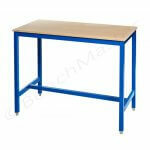 You can choose to position the single drawer to the left, to the right or in the middle of the workbench. There are a number of chair options available. Simply click here and add your chair to your basket. 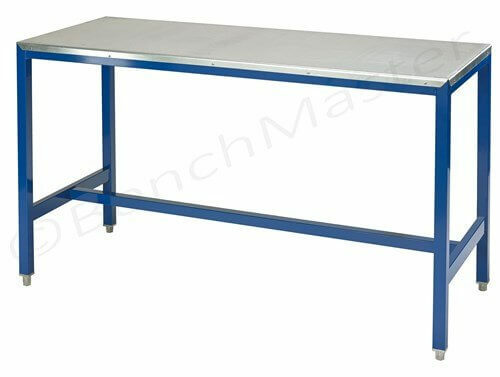 If you are looking for a moving medium duty workbench, please select from the available castors below. 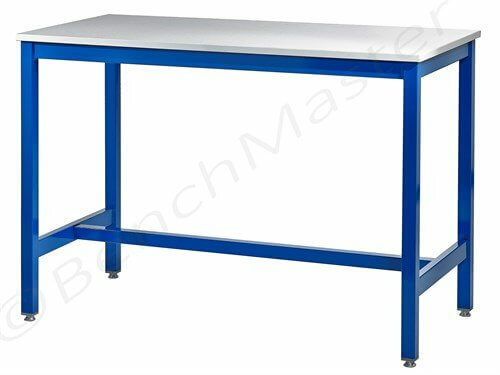 Our standard height on all workbenches is 840mm. If you require an adjustment, please enter a special height here. Please add any special requirements to the order here. 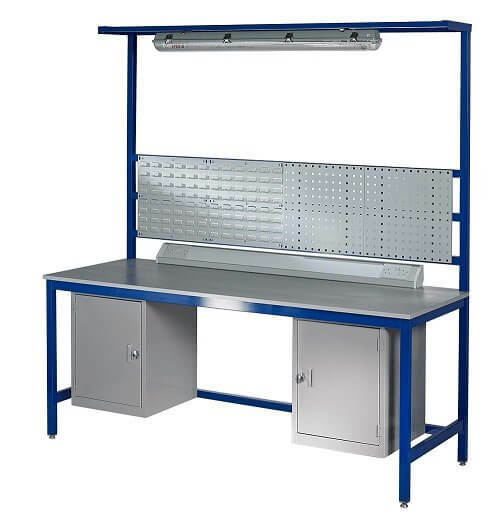 Medium Duty assembly workbenches are ideal for Electrical testing, Electrical assembly work, assembly work, warehouse work stations, desks, Laboratory workstations, and many more applications. We have a comprehensive range with a large selection of optional extras to suit every purpose. 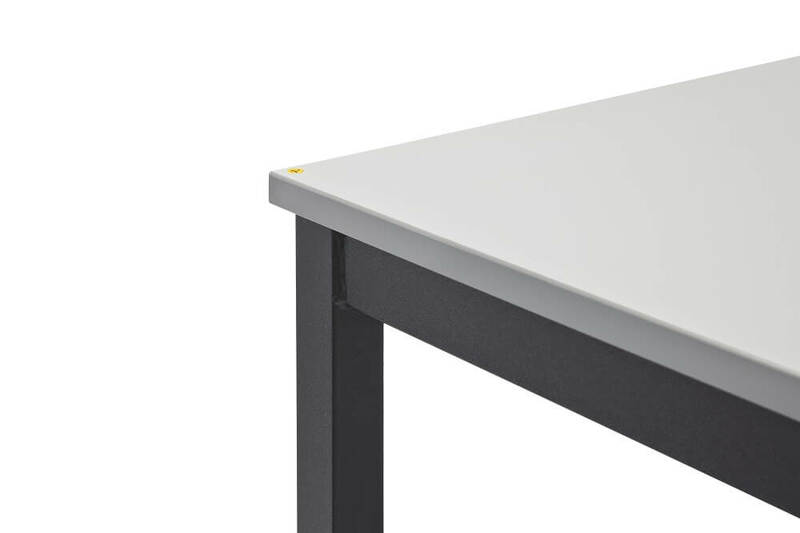 They are fully welded and come ready to use with a choice of tops - Laminate, MDF, Steel and ESD (Antistatic) and compact laminate. 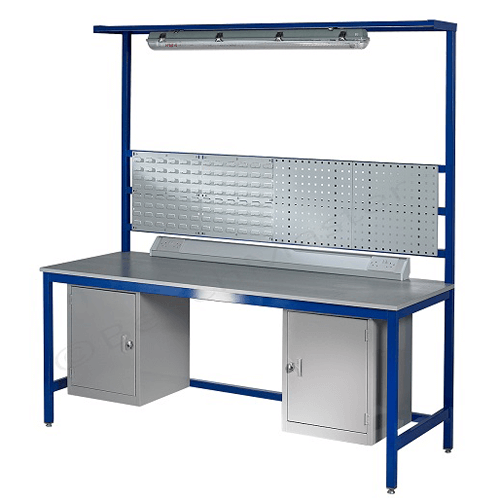 The uniformly distributed load (UDL) is 500kg for each standard workbench. 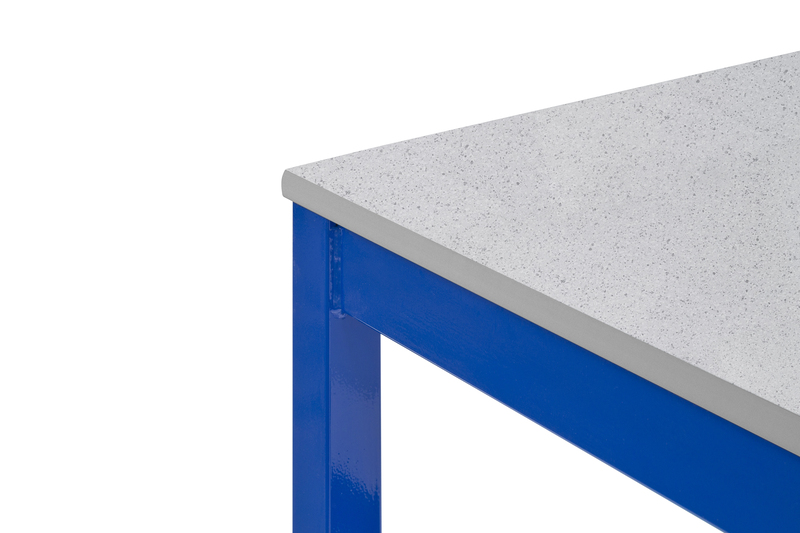 Each workbench is fitted with all metal levelling feet that have 20mm of threaded adjustment on each leg. 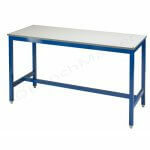 Standard height is 840mm from floor to worktop. This can be increased or decreased at no extra cost but must be noted on the order. 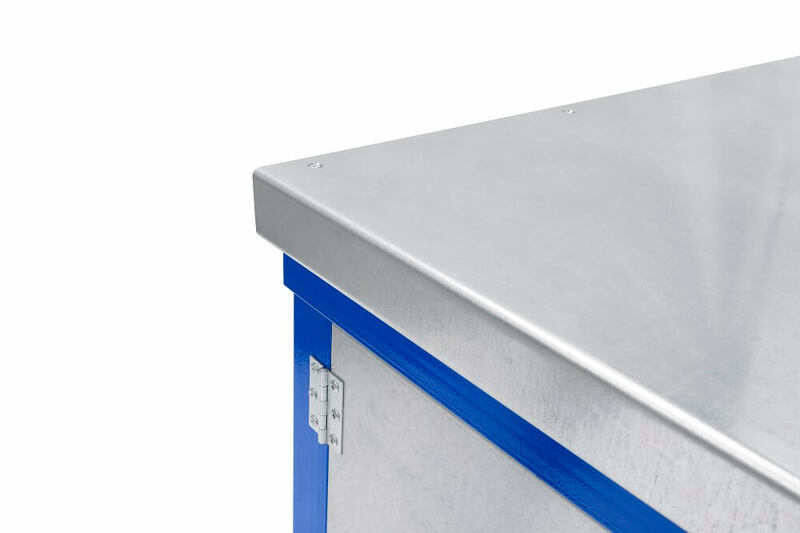 The lead time on the medium duty range is approximately 10 working days. 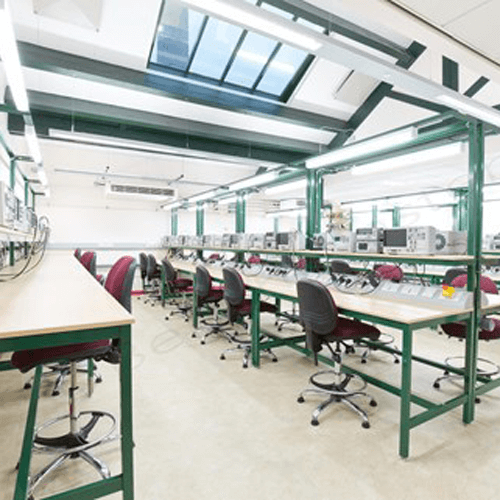 However on the ESD and compact laminate can take up to 15 working days. For more details on the ESD tops. Please click here. 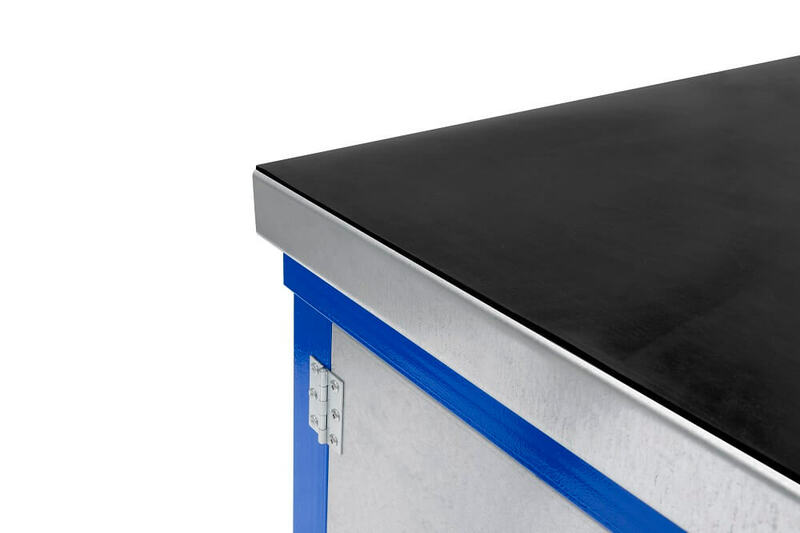 For more details on the compact laminate tops. Please click here.